Another one from our trip to Seneca Lake in Upstate New York. 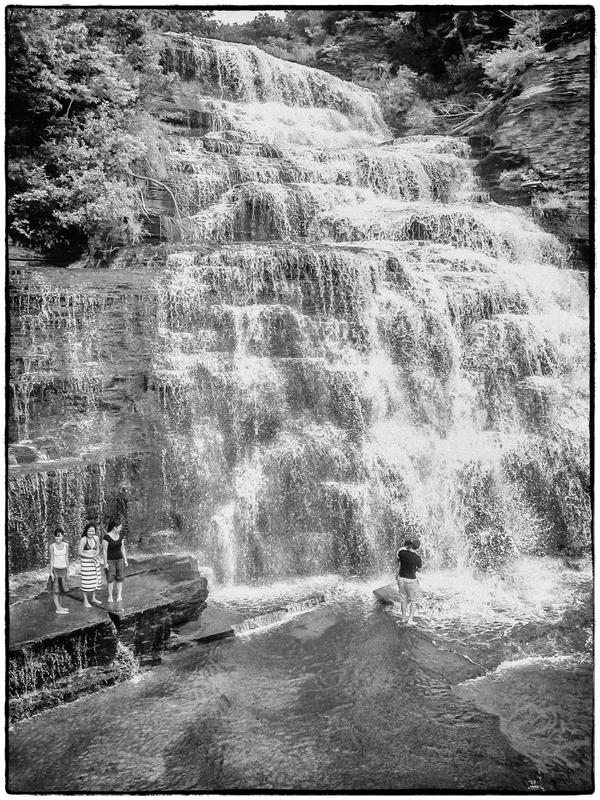 This is Hector Falls, also on Seneca Lake – Just north of Watkins Glen. The figures on the left are three of my nieces and the person on the right is the husband of the one on the right. He’s carrying their daughter. This entry was posted in Black & White, Landscapes, Places. Bookmark the permalink.